We're Celebrating Easter this year with a brand new website. Find out what's new! Home » Blog » Somebunny Got a New Website! 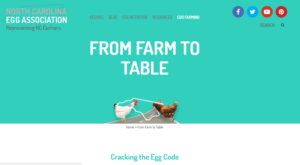 North Carolinians can now learn about N.C. egg farmers, the health and nutritional benefits associated with eggs, learn new recipes, cooking methods and have fun with the entire family easily from any device. 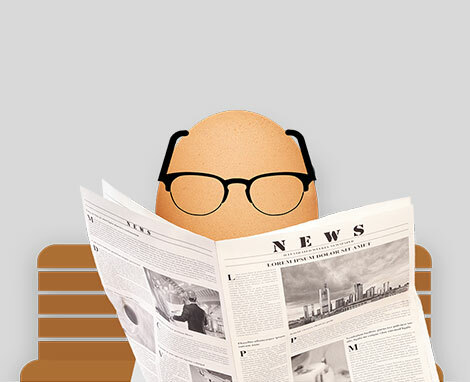 Get egg-ucated and stay up to date with the newest information, tips & tricks and fun facts by reading our “Blegg“! 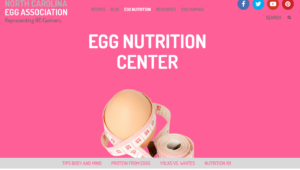 The most popular section of our website has been revamped for easier navigation, easier to follow instructions, and the ability to search for ingredients (for the rare occasion there is something more important than the egg). Another fun addition is the ability to “like” all the recipes you’ve tried or want to try. We want to know your favorite recipes! *To like a recipe all you have to do is click the heart right underneath the recipe title. Whether your goal is to play on a Division 1 football team or to just live a healthier lifestyle, proper nutrition plays an important role. Here you can see how eggs are nature’s perfect nutrition nugget! There is more here than just recipes. 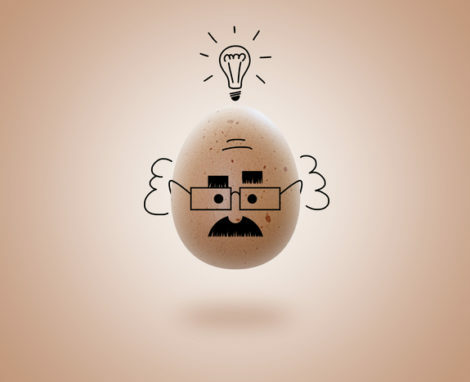 Learn how to cook eggs, keep them safe, and have fun with the entire family. 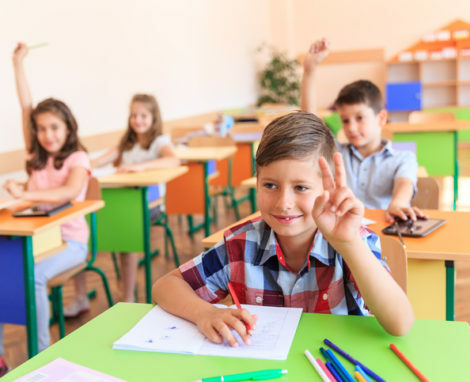 Celebrate the most EGG-cellent holiday with Easter crafts, videos, coloring books, and all sorts of fun activities. Visit our Pinterest page for tons of Easter Ideas, Activities, and Recipes! 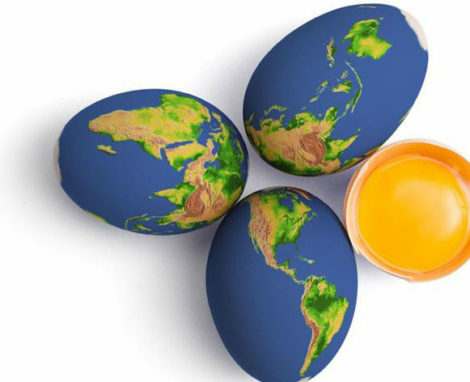 North Carolina’s egg farmers invite you to learn more about where eggs come from and the efforts they make to take care of our communities, hens and planet. Get to know our Farmers! 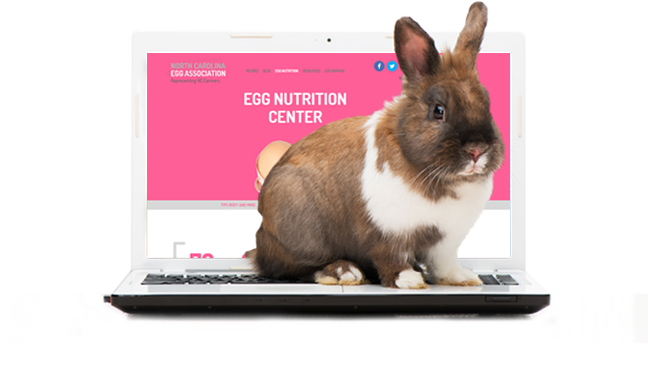 We hope you have a fun-filled egg-sperience on our new site and a very hoppy Easter!